West Ham did not give in for the Galician forward and if the Algerian came, Emerson could not enter because they were both extra-community. 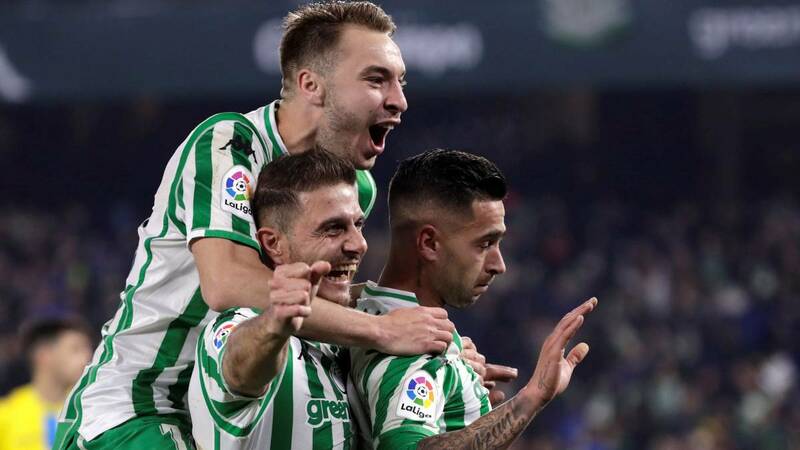 The Betis smile before his qualification to the semifinals of the Copa del Rey and now looks askance at the final construction of his squad, which could get on the last day of the market more changes in its front ... or not. The goal of the club at the end of January was to tie a nine that complements the attack and after ruling out a large investment in players like Lucas Alario, from Leverkusen, he worked on less ambitious options such as the West Ham Galician Lucas Perez or the Algerian Islam Slimani, ceded by the Leicester in the Fenerbahçe but from which the Turks want to discard. Also on the list was Vincent Janssen, Dutchman from Tottenham, but in his case as well as in Lucas, his clubs, until now, did not accept an assignment and only a transfer or a loan with compulsory purchase. The most feasible case was Slimani but if arrives the Algerian, the Betis could not register in this winter market to Emerson Aparecido, Brazilian side that has tied and that is disputing the South American Sub-20, since there would not be enough extra-community seats. De no concrete arrival for the attack, something quite possible, Sergio León would remain in the squad despite Quique Setién has made clear other preferences. After scoring Espanyol 2-1 and get back the classification copera, Cordovan tip seemed to say goodbye to the fans with tears. His coach almost sang a goodbye later in a press conference, but there are serious options for him to remain on the squad with Loren and the newcomer Jesé and despite the fact that Celta, among others, has taken a serious interest in him. Jesé , Lainez and Emerson would thus be the winter incorporations and Sanabria and Inui, at the moment, the soccer players yielded to Genoa and Alavés respectively. The figure of Ryad Boudebouz is also unknown: Toulouse became interested in the Franco-Algerian midfielder to try to obtain his assignment until the end of the season and there are also mermaid songs from Saudi Arabia. But Ryad prefers to return to France.